﻿ The Aviator Johannesburg OR Tambo Johannesburg. JIMAT di Agoda.com! Ada soalan mengenai The Aviator Johannesburg OR Tambo? Direka untuk kedua-dua tujuan perniagaan dan percutian, The Aviator Johannesburg OR Tambo terletak di lokasi strategik di Greater OR Tambo; salah satu kawasan yang paling popular di bandar tersebut. Hanya 3.0 Km dari pusat bandar, lokasi strategik hotel memastikan tetamu boleh ke mana-mana sahaja dengan cepat dan mudah ke tempat-tempat tarikan. Persekitaran yang terjaga dan kedudukan berhampiran dengan Protop Womens Clinic, Muzium Kebebasan Madiba, Lapangan Terbang Antarabangsa OR Tambo memberi hotel ini daya tarikan istimewa. The Aviator Johannesburg OR Tambo juga menawarkan banyak kemudahan untuk memperkayakan penginapan anda di Johannesburg. Untuk menamakan beberapa kemudahan di hotel ini, terdapat Wi-Fi percuma semua bilik, pengawal keselamatan 24 jam, pengemasan harian, khidmat pos, khidmat teksi. Semua penginapan bagi tetamu menawarkan kemudahan yang difikirkan dengan teliti bagi memastikan rasa selesa yang sukar ditandingi. Hotel ini menawarkan kemudahan hebat, termasuk pusat kecergasan, padang golf (dalam jarak 3 km) , kolam renang terbuka, taman, untuk membantu anda berehat selepas hari yang penuh aksi di bandar. The Aviator Johannesburg OR Tambo adalah destinasi sehenti anda bagi penginapan hotel berkualiti di Johannesburg. There is a free transfer to and from Johannesburg OR Tambo International Airport. Please inform Life Hotels The Aviator of your flight details in advance if you want to use the service. Note that all pick-ups are from the bus terminal and drop-offs are offered to the airport terminals. Please note that guide dogs are permitted in the hotel. Stayed one night at the Aviator as I was stopping in Johannesburg on the way to go on safari. Friendly staff, were able to provide me with a good meal after a long flight. Special mention to Felicia who was a very attentive server. Free pick up and drop off at O.R. Tambo Airport and much more value for money than the hotels situated at the actual airport itself. Comfortable Bed, good sized shower. An excellent option for a quick overnight stay. Regular transfers from airport to the hotel, as well as an on-site restaurant make this an excellent option at the price. The hotel has a pool, good wifi, and small but clean and comfortable rooms. 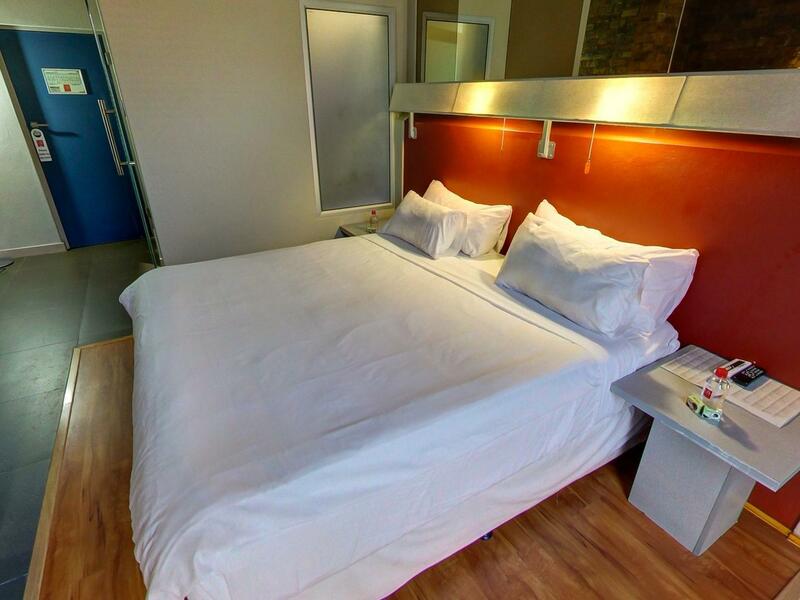 It can be a bit noisy, being as close as it is to the airport, but overall an excellent choice for an overnighter or while waiting for your connecting flight. Everytime we stay over it just gets better. Check in smoothly and got a early Check in. food on point. Even a tiny bon fire out at night. staff exceptional. Busy revamping the hotel and all areas. Always briliant staying over. This was perfect for us because we needed to be by the airport, but if you want to be in the city it would probably not be the place for you. Rooms are great, bathrooms are great. Pool looked nice but it was the winter so we didn't go in. Gym was alright! Laundry is super expensive so avoid it if you can. Overall a lovely experience. Every staff member was friendly and helpful. Smart modern rooms, and airport shuttle every 30 minutes. Some great-price meals available and very nicely prepared. Highly recommend it for a stay near Joburg airport. I was thoroughly happy with my stay at the Aviator Hotel. The hotel is located conveniently close to the airport and provides free and easy to arrange shuttle transfers. Also, the rooms are both well-appointed and comfortable. The included buffet breakfast was delicious and the staff were polite and spoke good English. Perfect for a night's stay before a long flight! Perfectly fine for a stopover. Shuttle time to hotel about 12 minutes. Rooms though smallish are new and modern, clean. Plane noise not an issue after midnight. Restaurant food and menu a bit sub-standard for anything more than a snack. Only stopped here for one night between flights and hotel is ideal for that. Had couple of meals here and food was surprisingly good. Nice little gym for bit of exercise. Only small pool but it was too cold to use in anyway. Room was fine. Only problem was occasional black out. As I'm not a regular visitor to Jo'burg I'm not sure if this is a problem confined to this hotel or is more widespread. This is a great little stopover hotel just 5 minutes from airport. Very efficient shuttle service. Need to walk out of airport and walk behind the Intercontinental hotel to find the shuttle buses behind. Staff at this hotel are very friendly and helpful. Rooms comfortable with safe, tea and coffee, microwave and fridge (some rooms). Bathroom a bit quirky with see through glass doors. Hotel security very tight with 24 hr security guards on every gate and electric fence around perimeter. Restaurant food good and excellent pizza oven. Good big variety at breakfast buffet. Have stayed here twice. Could not fault The Aviator. Great value and perfect for an overnight transit at Johannesburg. Hotel and room were very clean and staff extremely friendly. Free courtesy bus to and from the airport was a bonus. -Easy checking-in -Neat rooms & toilet -Breakfast is average. Staffs at the buffet station are lazy. Spent too much time talking than serving hotel guests. Will still come back if we ever need a place upon transiting. A cute aviation themed boutique hotel near the airport with its own compound and a security guard. Friendly and helpful staff, and they will help with shuttles to/from airport and the train station too! Fantastic breakfast and while I didn't use the gym, I saw that it was well equipped. 10/10 recommmend with no hesitation. good value all round, for both rooms & food & drink - less than a £ for a gin for example! staff attentive, only 3km or so from the airport via hotel shuttle, which is generally punctual - would stay again! We were heading home from Botswana and stayed one night. The reception staff was very helpful and friendly. Rooms were clean and nice. New carpet in process while we were there, but not any inconvenience at all. Owner was also very interested to e sure a pleasant stay. Lucy directed us to great shopping in the little time we had. Breakfast was fine! I wish we could have stayed longer! Thanks for everything. I only stayed one night but found it excellent. Check in was fast. Staff were friendly. And breakfast was good. It's near the airport for my morning flight and they even offer shuttle service. Would recommend it.